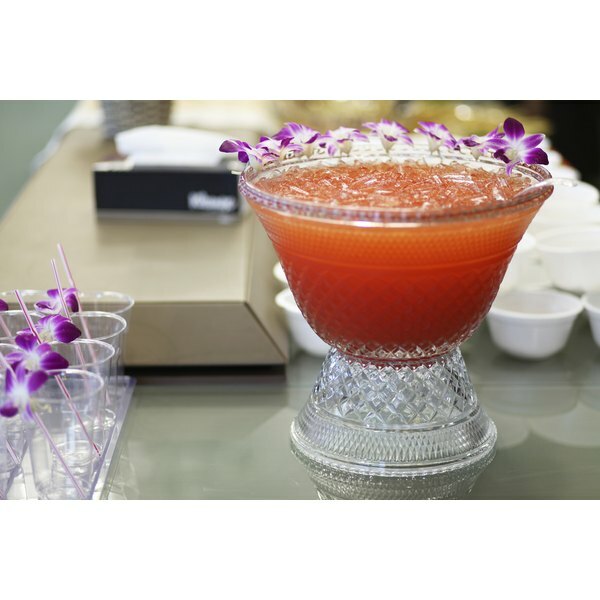 Fruit juice, ginger ale and sherbet punch is a standard at parties and get-togethers. While there are variations when it comes to the ratio of the ingredients, the basic idea remains the same: use fruit juice for flavor, ginger ale for carbonation and the sherbet for complexity and cooling. There are also different ways to make this particular drink option, depending on your preferences. Bring all of your ingredients to the place where you will serve the punch. Preparing this on-site is much easier than transporting the finished product. If your final destination does not have a freezer, pack the sherbet in an ice-filled cooler. Open the ginger ale one bottle at a time, only on-site and only as you need it. Otherwise, the ginger ale will go flat, and you will lose most of the purpose of adding ginger ale in the first place. Pour the ginger ale into the punch bowl first. This will minimize the fizzing and head of the ginger ale. Then pour in pineapple juice to the ratio you prefer. A one-to-one mix is fine, but by no means the only way to prepare this punch. For added color, make ice cubes from colored juices or gelatin to float in the bowl. You can also float frozen berries. Experiment -- the more colorful punch, the more likely it is to impress your guests.